We're lucky to live near Piedmont Park, the largest city park in Atlanta. 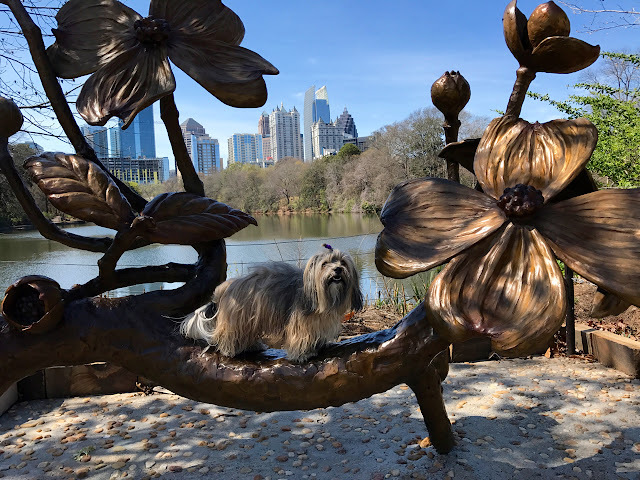 And on a recent stroll we discovered this new sculpture of a Dogwood tree with the buildings of Midtown Atlanta in the background. There's always something interesting going on in our park, whether it's a festival or the Saturday morning farmer's market! We plan to head there tomorrow. That is such a cool sculpture! Thanks for sharing it with us! We the corporate supported in 1977 and began franchising since 1992, United Check Cashing and landed as a check casher business in USA.